Skin tags are small, brown or flesh-coloured growths that protrude from the surface of the skin, usually by a few millimetres. Often mistaken for warts, skin tags can appear anywhere on the body but are typically found in areas where skin repeatedly rubs against itself, such as the armpits, groin, eyelids and neck. Some skin tags grow over time and very occasionally, can become as large as 5 centimetres. Although they may be unsightly, skin tags are always harmless. Unlike moles they are not a potential sign of skin cancer and do not usually cause any discomfort or pain. Depending on their location, however, skin tags can snag against items of jewellery or clothing or on seat belts and may end up bleeding as a result. Our experienced therapists use the CryoPen to effectively remove skin tags, warts, blood blisters (cherry angiomas) and millia – contact us to find out more about this treatment. 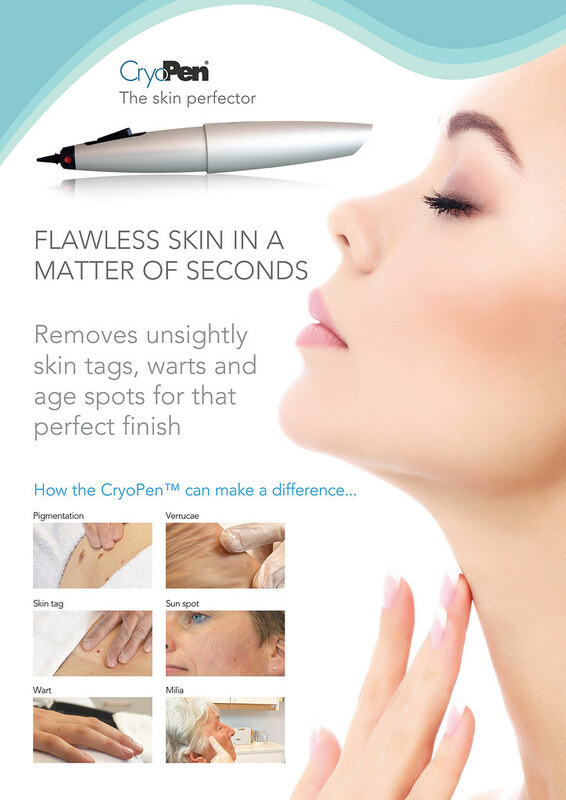 The cryoPen allows us to achieve better result than traditional cyrotherapy treatments such as the application of liquid nitrogen with a cotton bud or home removal kits (known as Wartner etc) when removing these imperfections from the face and body. Before the treatment is conducted, an analysis of the treatment area will be conducted, taking into account the age, location, and size of the lesion and skin type. 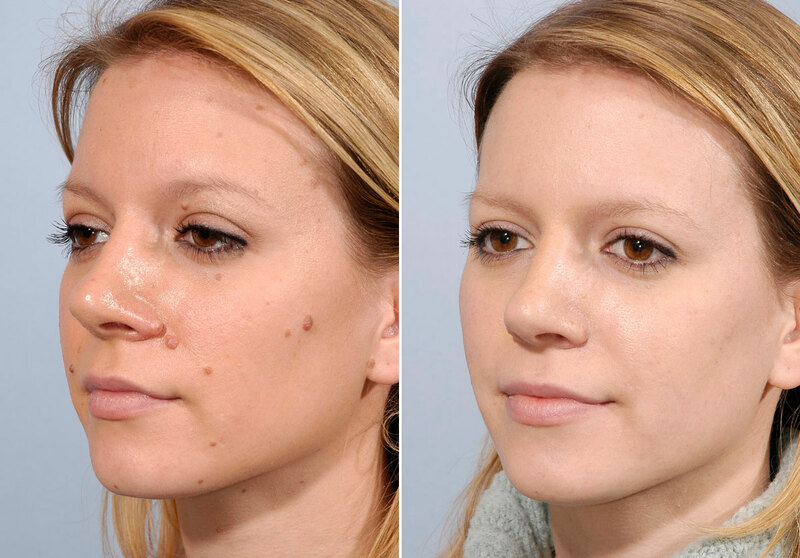 The duration of the treatment time will depend on the surface area and the thickness of the tissue being treated. The treatment will consist of two stages: the first freezing cycle and the second freezing cycle – this offers the best opportunity for success. Imperfections will be removed by controlled circular movements that stay within the limits of the treatment area. The CryoPen has a penetration rate of freezing of approximately 1 mm per 5 seconds with a maximum freezing depth of 3 to 6 mm – the amount of time needed will relate to the depth of the lesion. The area will then be left to thaw (for 30 seconds) and dried with a tissue then followed by a second freeze. Some pain will be experienced during the treatment which will feel like a ballpoint is being pushed into the skin. If you are uncomfortable with the amount of pain experienced, the treatment will stop. A follow-up visit is recommended after 2 to 4 weeks to confirm that all pathological tissue has disappeared or that a follow-up treatment is necessary. Minor residual stinging may occur for a few minutes after treatment. Occasionally, a blister may also form and will last for a few hours.